Neutrality Day is one of the most important holidays in Turkmenistan. It is celebrated on December 12 to commemorate the declaration of the status of permanent neutrality of Turkmenistan in 1995. 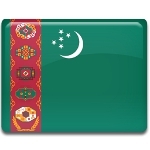 Turkmenistan became an independent state upon the dissolution of the Soviet Union in 1991. The newly independent republic has taken a neutral position on the majority of international issues. The first president of Turkmenistan Saparmurat Niyazov was the main proponent of the country's neutrality. Turkmenistan officially became a neutral state on December 12, 1995, when the United Nations General Assembly adopted Resolution 50/80 that recognized the status of permanent neutrality of Turkmenistan. It was the first time that the UN supported the neutrality of an independent state. Turkmenistan doesn't contribute to the UN monitoring forces and doesn't participate in military alliance. The country is virtually isolated from world politics. Neutrality Day is an important national holiday in Turkmenistan. It is widely celebrated across the country with public speeches, official ceremonies, concerts, and mass festivities. The main celebration is held in the capital city of Ashgabat.